Mission: The objectives of the charity are ‘to advance the education of children with specific learning difficulties, dyslexia/dyspraxia and to provide facilities for research into the causes and problems of, and associated with, dyslexia/dyspraxia and into methods of diagnosing, assessing and advising on the treatment and education of such children’. Our charity aims to transform the lives of children with specific learning difficulties (SpLD) and to provide encouragement to their families. Providing a first class education for children with SpLD. Giving children with spld the skills and confidence to maximise their potential after 2-3 years at Fairley House School (FHS) in mainstream education and throughout their lives. Ensuring that children’s needs are met by offering a unique transdisciplinary assessment and whole school approach. Seeking to influence the lives of SpLD families outside our school community through research, teaching, training and advocacy. Maintaining dialogues with government agencies children’s services and voluntary sector organisations and through partnerships with research bodies and higher education institutes. Advise and work in partnership with parents to provide hope and to achieve the best possible long term outcomes for their children. Reward the professionalism and dedication of our staff by ensuring that our workplace is safe, enjoyable, stimulating and supportive of their individual career ambitions. Our belief that Fairley House is a dynamic and innovative environment where children thrive and are happy. Vision: The school does not have a Vision statement per se but its "Aims" statement reads, "The school aims to provide rich and stimulating multi-sensory learning experiences which engage children and capitalize on their strengths while helping them to overcome weaknesses. Children are helped to be aware of their learning style preferences and also learn to use different learning styles matched to the task. We emphasize the development of the whole child, helping children to develop confidence, achievement and independence through an encouraging, nurturing ethos where everyone succeeds. The average stay is two to three years, after which the majority of children return to mainstream schooling. Children succeed in mainstream where previously they have failed because their skills are improved and they have developed compensatory strategies. " 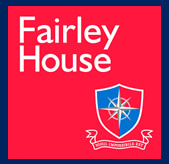 Target Students: Fairley is an independent co-ed school that focuses on students with learning difficulties (mainly dyslexia and dyspraxia with a secondary focus on related learning difficulties) from the ages of 5 to 14. Students typically attend the school for two to three years before they return to mainstream schools but students with a documented dyslexia/dyspraxia may stay longer. Dyslexia Accommodation: A multi-sensory approach to teaching is used throughout. The school employs a Special Provisions Team (SPT) which includes speech and language therapists, occupational therapists and "highly specialized" literacy and maths teachers who work in conjunction with classroom teachers. OCR stands for Oxbridge, Cambridge and RSA Examinations. RSA in turn stands for the Royal Society for the encouragement of Arts, Manufactures and Commerce. 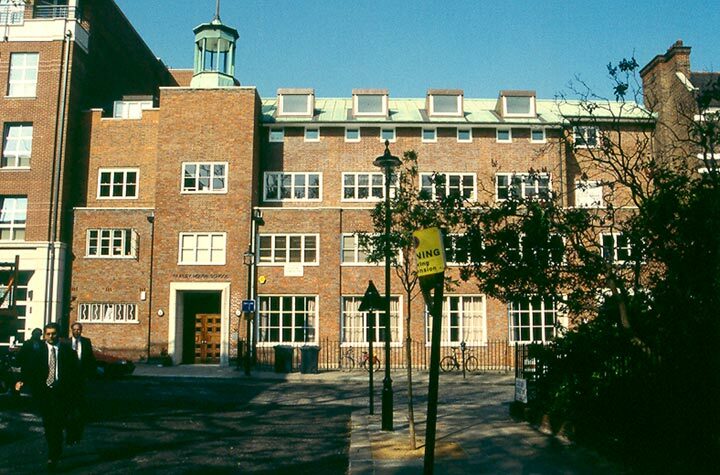 OCR is a UK examination board, that sets examinations and awards qualifications. They work with schools, colleges, workplaces and other institutions in the public and private sector. Teacher Training: Fairley House is a center for OCR (see side bar) training meaning that not only does the school train teaching professionals but it ensures that its own teachers "enjoy the highest levels of professional training," according to the 2013 CReSTeD report. difficulties' but does not elaborate on what that means exactly. Typical of these reports, much of the anlysis tends to be motherhood statements such as "The quality of the teaching and therapy is outstanding and is characterised by excellent analysis of the needs of the pupils". Little regard is paid to actual methods of planning, pedagodgy and assessment. Nonetheless every indicator we have is that the school offers excellent instruction. Student Teacher Ratio: 3.5:1 though for specific therapies the instructor may instruct the student one-on-one. Assistive Technology: Students in the Senior School have access to individual laptops while students in the Junior School have limited access to laptops. iPads loaded with e-books are available in the libraries. Financial Aid: The school reports that 75% of pupils are funded by their families with 25% funded by "local authorities" through the "statementing process" if pupils’ attainments fall in the bottom one or two per cent. We're not sure what "local authorities" means. Their website aludes to bursaries provided by the school for children 9 to 11 years old, who are otherwise unable to attain financial support, but it's really unclear how many qualify for this or the extent of the aid. Based on information available to us, we have scored the school in six areas of importance to prospective parents and students. 1) Given the limitations of information available, the scores may not accurately represent the school. School administrators or informed parents and students are welcome to contact us with additional information and we will update the scorecard accordingly. Alternatively, please leave comments below. 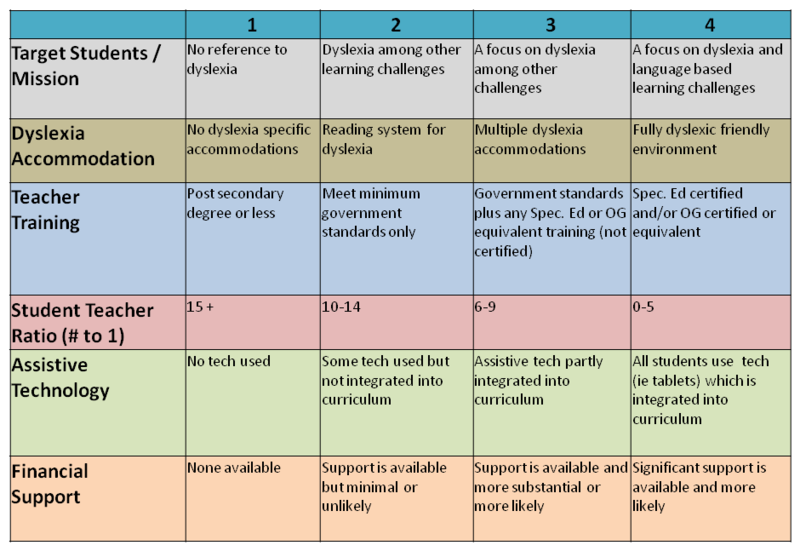 2) Scoring is based on specific dyslexic student needs, not on an absolute scale of school quality. Both the CReSTed (2013) and ISI (2010) reports give positive reviews of the school. Similarly we score them well in all our categories. With a better calibration of their financial aid bursaries and use assistive technology they may warrant an even higher score. Overall Fairley looks to offer a very positive experience for its students.